Some consider poker to be just another game of chance, where the most important role in the game is played by chance. They say you can win any poker game with a good hand, and if the hand you get dealt is not worthy, your chances to win are nonexistent. I consider them fools for thinking that. I see poker more like a game of strategy, with the best player winning not necessarily by the power of the hand, but with the one of the mind. You see, you can play to win a hand even if all you have is a pair of twos, or not even that. If you play smart, that is, and if you use the strategies you can find on this website. Those who consider poker to be “just another game of chance” are right, though, when it comes to casino poker. 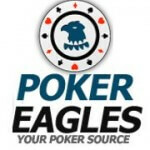 The games called “poker” in casinos – online or otherwise – are loosely based on the rules of various poker games, and they also copy their gameplay to some extent. Most of the times, though, they only focus on the element of chance in these games, and leave strategy out of them entirely. Let’s see how a round of Casino Hold’em (also called Caribbean Hold’em) plays out. The game is played with a standard 52 card deck, just like a normal Hold’em game would be. 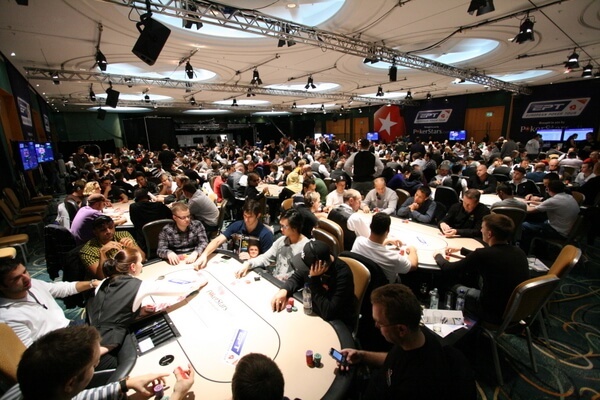 Each player must place an Ante bet (and an optional AA bonus bet), and is dealt two cards facing down. Three cards are dealt on the table facing up, similar to the Flop in a normal game. The player checks the two cards in his or her hand, and decides whether to fold (and lose the Ante bet) or make a Call bet, of an amount twice the Ante bet. If all players have made their decision, the dealer will deal two more cards on the table – the turn and the river. The showdown casino-style: the players and the dealer must form the strongest possible poker hand using the total of seven cards – two in hand and five on the table. The dealer has to have a pair of fours or above to qualify. If the dealer does not qualify, the Ante bet pays according to the paytable, while the Call bet is a push. If the dealer qualifies, the hands are compared, and the better hand wins. If the player wins, the Ante bet pays according to the paytable, while the Call bet pays 1 to 1. If the two hands are equal, the bets are push (the player gets his ante and call bet amounts back). If the dealer’s hand is stronger, obviously the house wins. As you can see, although the name of the game is very similar, and the rules are loosely based on the rules of the proper game, the Casino Hold’em is far from being a real game of poker. And trust me, the others are even worse.